Your baby’s smile can light up the room and your world. When those first teeth pop through at around six months it’s a big milestone – for you and your baby. 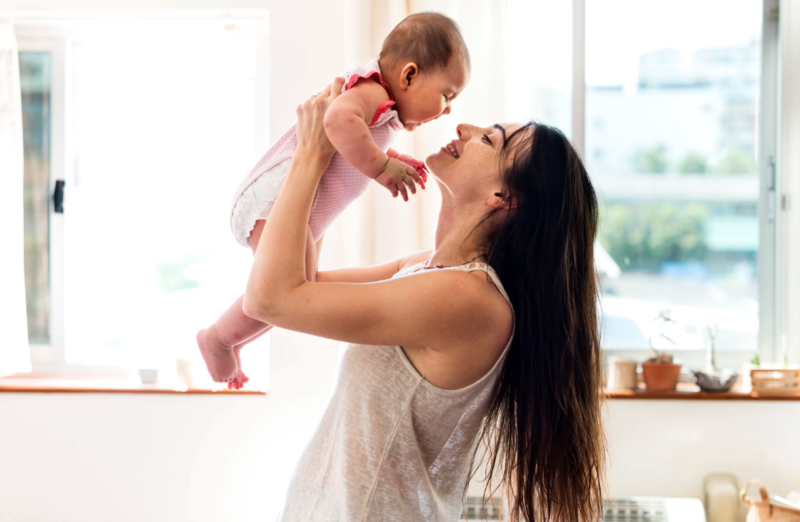 While you can’t make those precious first smiles last forever, the habits you start in year one can give your baby the best start toward a lifetime of healthy teeth and beautiful smiles. Some moms believe that baby teeth aren’t that important because they fall out and will be replaced by permanent teeth. Oops, wrong. Baby teeth help your child smile, chew and talk. And, they hold space for the permanent teeth growing under the gums. Neglecting baby teeth can lead to early decay and cause big problems for your child later on. Cavities in baby teeth can lead to cavities in adult teeth. Before you meet your little one, treat yourself to some dental care. Maintaining your oral health during pregnancy through brushing, flossing, and seeing a dentist — which is safe and recommended —can help prevent the spread of germs from you to your baby. Your baby’s first teeth will begin to poke through between 3-6 months. Those first teeth are the perfect reminder to have your baby’s teeth screened by a dentist or physician by their first birthday. The doctor or dentist will take a gentle look around in your baby’s mouth, show you to clean teeth the right way, provide tips on how protect baby teeth (including choosing tooth-healthy snacks) and identify if there are any problems that need attention. To protect your baby’s teeth, water is the best choice for thirst. It’s easy to forget that juice contains a lot of sugar. Sugar is bad for teeth and can lead to obesity. If you put your baby to bed with a bottle, skip the sweet stuff and instead fill the bottle with water.